There is something about donuts flying across my screen that just makes me happy. But Hot Donut isn’t just about some ordinary donut. This is a super donut, complete with cape and jet-like flying abilities. 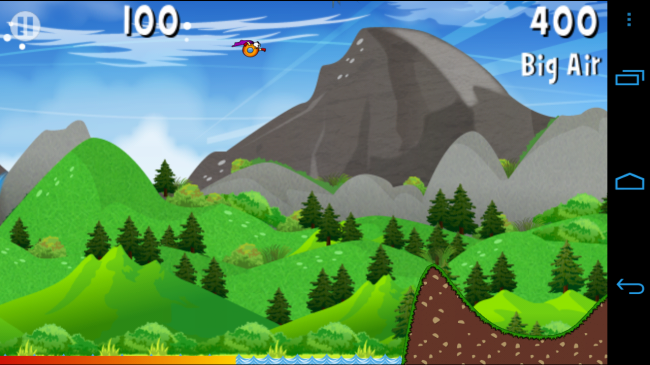 If anyone here has heard of an iOS game called Tiny Wings or Android’s Dragon Fly, then this game will look and feel quite familiar to you. You press on the screen to roll your donut down a hill, then lift your finger off when you want to see him flying across the sky to avoid large gaps of watery doom. It’s a pretty tasty game, but the one downside is that after playing you may crave Krispy Kreme. Monday Poll: Will Verizon Get the Samsung Galaxy SIII?